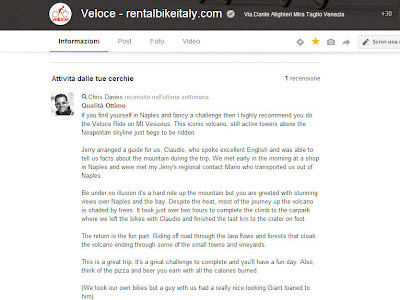 Veloce ® cycling and bike rental company : Things to do in Naples : climb the Vesuvius volcano with Veloce daily ride. Things to do in Naples : climb the Vesuvius volcano with Veloce daily ride. 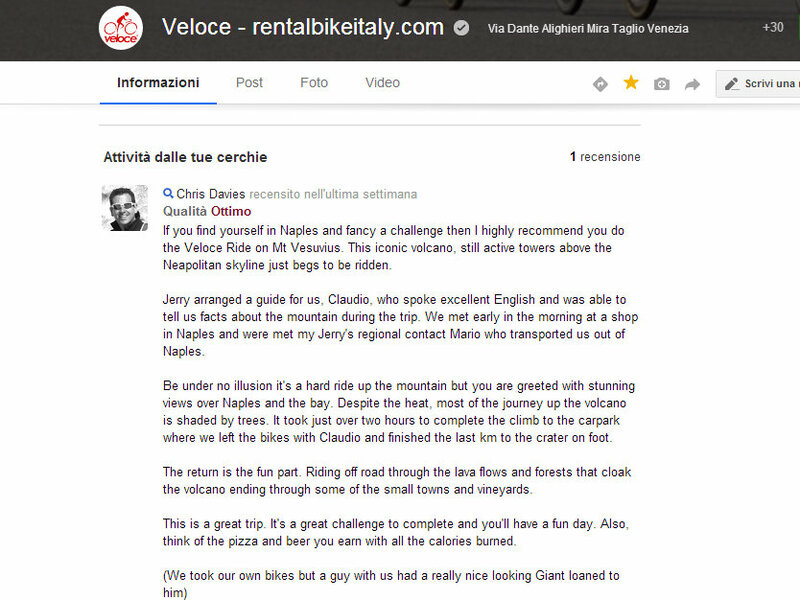 Today we want share with our readers a new review wrote by our customer that ridden Vesuvius volcano with our company. A daily excursion suggested for your stay in Naples.